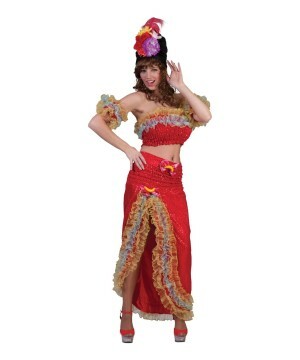 The Womens Brazil Costume comes with a festive red top and matching skirt with colorful ruffles along the trim. You will also receive a pair of matching ruffled armbands. Available in womens size Medium. Please note that the shoes and headpiece are not included. Grooving onto the steps of Samba, Brazilian women are to die for. These incredibly fit women are known all across the globe for their beauty, casual beach vibes and warmth. This costume is perfect for those who have a relaxed and uninhibited attitude. This costume is perfect for Halloween parties, beach parties, dance sagas and theme parties (like the amazing bachelorette you are planning for your bestie). 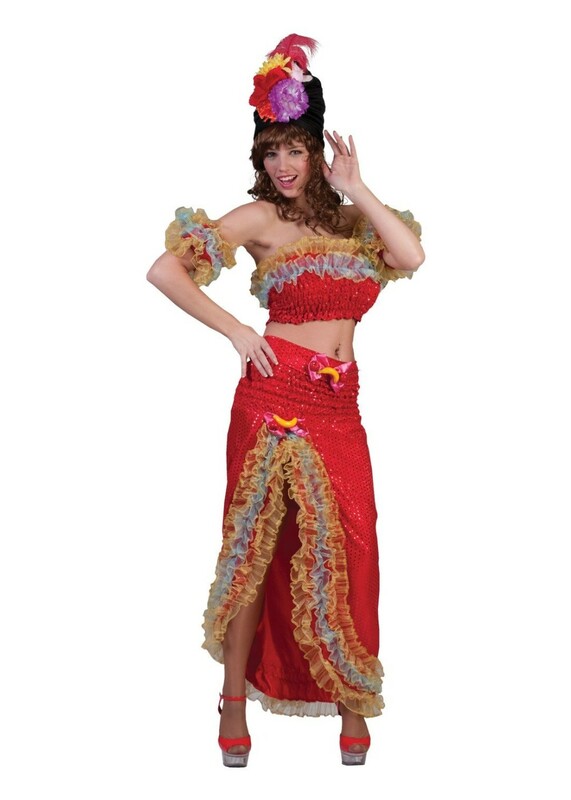 The colors of the costume are vibrant enough to look dazzling in the party. The set does not include the shoes. Review(s) for " Womens Brazil Costume"